We have an oversized bedroom, but not much wall space. We are having a hard time trying to figure out the correct layout for our room. We would like to make some kind of sitting area, but can’t figure out where to put all the furniture so that it flows smoothly. I have attached a picture and am hoping you can help us figure out a floor plan. I appreciate any help you can offer us. You are so lucky to have such a large bedroom! Furniture and layout can be tricky with any size room, but in your space, I definitely think creating a sitting/living space would add warmth to the room. 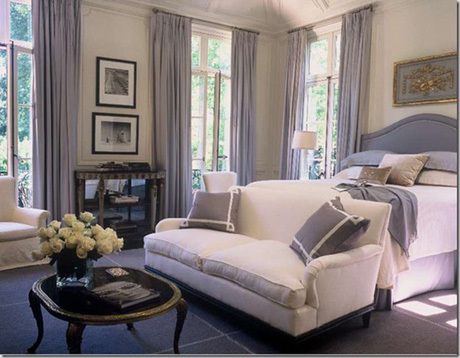 Think about placing a loveseat, bench or settee at the foot of your bed. A large area rug, pair of side chairs and an upholstered coffee table would make a lovely sitting area. 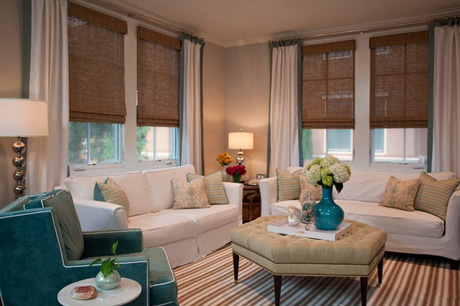 I would add window treatments, including natural woven shade and curtains in a neutral color, like linen. If the floor plan allows, I would install a gas fireplace on the wall opposite the bed, installed a little higher off the ground (18” approx) and use that as your anchor for the 2 chairs. 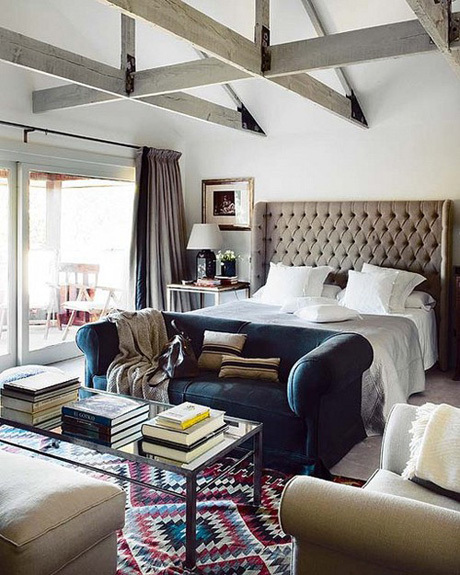 Your room is open and airy, but you don’t want it feeling cavernous. Replacing the ceiling fan with a chandelier will immediately update the room and also add some interest and a focal point when you enter the room. I would add a floor lamp or taller side table lamps- wall sconces would free up table space and add to the look as well. 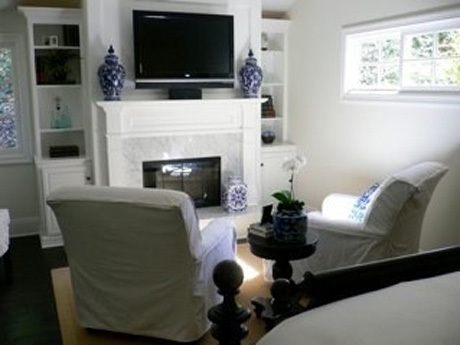 Replacing your television with a new, wall-mounted flat screen would allow you to remove the black TV unit. Frame your favorite photos or art in sepia or black and white for over the bed, or a large mirror to reflect the new chandelier.